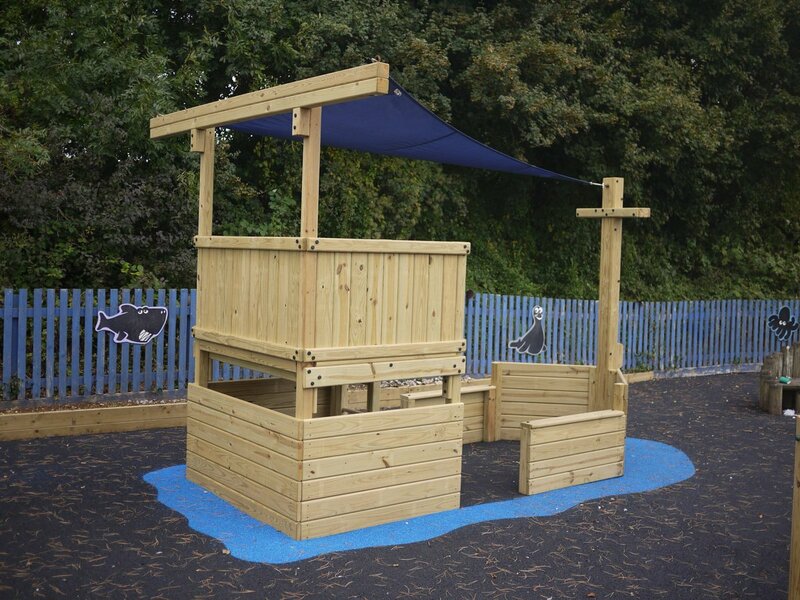 The range of commercial play equipment on the market can be daunting – we are very happy to give advice on what sort of equipment is best for your location, tell you what others have done in similar circumstances and help you with the obligations under EN1176 and EN1177 (the standards for commercial play equipment). We can produce CAD images of your project and supply fixed price quotations for the supply and installation of any of our equipment. How do I choose the right equipment for our family ? Even if you are shopping for play equipment when the children are very young, please bear in mind that as they grow their abilities and demands will increase. We think these jungle gyms should be a once only purchase – you don’t want to have to replace equipment that becomes too flimsy or uninteresting after a few years. With our modular design and vast range you can choose exactly what equipment you and your family want and know that you can keep adding to it in the future. What happens if the space is not flat and level ? Our systems are designed to cope with uneven ground, and are installed so that the deck and swing beam are always level whatever the slope in the ground. Depending on how severe the slope is this may have implications for swing heights and clearances, so please ask for guidance. What happens if we want to move the play system ? All our jungle gyms can be dismantled, taken to the new property and rebuilt. You can even take the opportunity of changing the configuration or adding more accessories if you want. Please request our FOC installation instructions before attempting any dismantling; or we can usually arrange to have it done for you. What age children can use these jungle gyms ? Unlike many companies we do not have maximum age limits; our equipment is strong enough for children of any age, including adults, to use. We recommend that the single and 1+1 swing beams be limited to children under 12. Children should always be supervised on any play equipment; this applies especially to very young children. What maintenance do I need to do ? European Safety regulations require that you check all fixings etc regularly, but apart from that the timber we use requires no ongoing repainting or restaining. An occasional coat of clear water sealer will help bring out the natural beauty of the wood. How are these systems different to cheaper sets ? Simple – superior components, stronger designs and larger timber sections. If you have the chance to compare one of our units alongside one if its competitors you will see where that extra money goes; lots more fixings (and all stainless steel), beautiful smooth-planed timber with rounded edges, chain hangings for swings and really solid build details. We are so confident in the durability of our timber that we guarantee it for as long as you own the equipment! All our fixtures come with a 12 month guarantee. (See back cover for details). While most of our customers prefer us to build their equipment, we can provide easy-to-follow illustrated instructions to anyone who would like to install their own jungle gym. Remember, though, that this is big, heavy equipment. We charge £345 to build any single clubhouse system (Monkey Climber, Canyon, Jungle) and £545 for any two-deck system (Canyon Twin, Jungle Twin, Mountain, Lunar). Each extra clubhouse is then +£200 (eg Cosmic).